The Billion Dollar Aid Question: Britain is giving more than a billion pounds in aid to help people affected by the Syrian crisis. How much of it reaches those in most need? 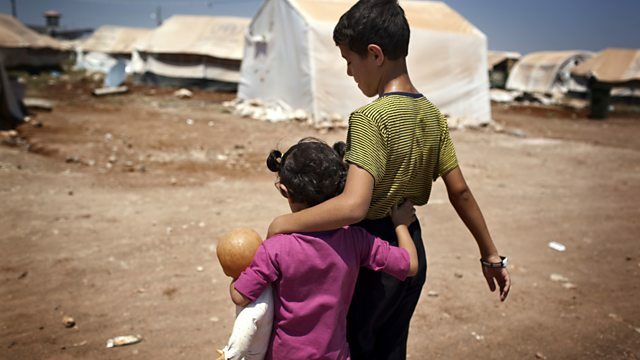 As the crisis in Syria deepens and refugees flock westwards, the UK government insists it is helping with a £1.1bn aid package to neighbouring countries - but is it being spent wisely? Simon Cox tracks money going from the UK to projects on the ground in Syria, Jordan, Lebanon and Turkey, trying to find out how much eventually gets to refugees. It's easy to see how funding an NGO to build new homes for Syrians is money well spent. But can the same be said for the hundreds of millions of pounds that go through the United Nations? The programme hears from aid workers, UN officials, refugees and UN investigators about cuts to food rations against a backdrop of high salaries and overheads. So is the UN up to the job of managing a modern-day refugee crisis? Locum Doctors: Bad for Your Health?